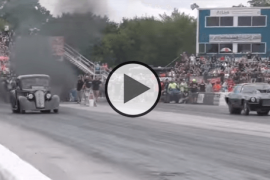 Street Outlaws Battle, Doc vs. Daddy Dave for the #2 Spot!! Take a look at this, Street Outlaws Battle, Doc vs. Daddy Dave for the #2 Spot!!! During the No Prep Kings championship, Doc had the worst luck ever, from losing grip to break downs to not enough speed, at to getting a heart surgery as well, nothing was going his way. After suffering a minor heart attack he had to get a couple of stents put in and incredibly just a few weeks after his surgery he was out there on the track doing what he loves. After starting the list races however, his luck had seemed to be turning and after the terrible season at No Prep Kings, he is out here on their favorite patch of road racing his brothers and climbing up the ladder. The current race is for the number two spot and the chance to race Big Chief for number one, something that Doc has not done in a while, so we know that he will be giving it all that his Street Beast has to offer, so lest watch and enjoy. NO Street Outlaws Star Kye Kelly Got a New Car Just to Race Big Chief from OKC! 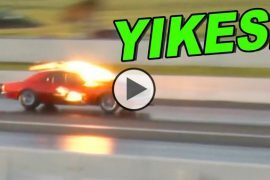 Street Outlaws Monza Sinister Camaro vs Tony Rizzi’s Diesel Truck at Armageddon! 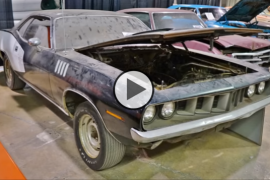 Incredible Garage Find 1971 Plymouth ‘Cuda at MCACN Barn Finds 2018! Previous articleBarn Finds – 56 Classic Mustangs Discovered in Woods in Louisiana!! Next articleWill It Run? 1972 Camaro Barn Find Sitting for 19 Years!!! 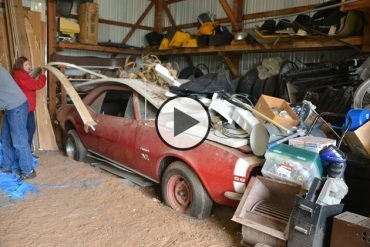 1967 SS 396 Camaro Barn Find Parked 43 Years! !